Grad students Akshay Kothari and Ankit Gupta were struggling to come up with a new software product for the iPad. They turned to the Institute of Design at Stanford. 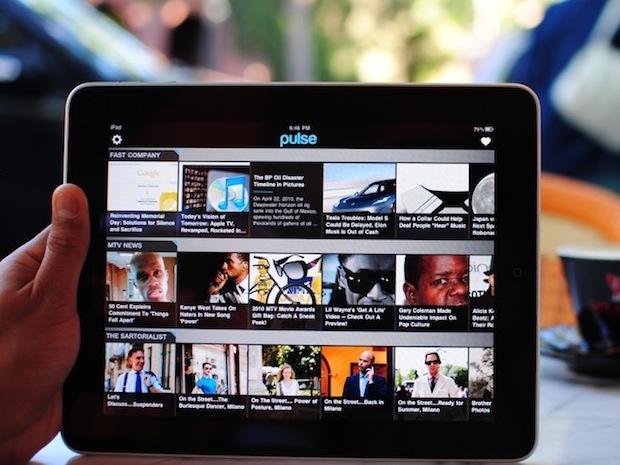 Six weeks later, they launched news aggregator app Pulse. the iPad, they turned to the Institute of Design at Stanford for some direction. Six weeks later, they had set up a company, Alphonso Labs, and successfully launched their product—a popular news aggregator app for the iPad called Pulse. and was at one point the most popular iPad app in the iTunes store (even after it ran into a bit of controversy). 1. Empathize: Like any good design project, your business is about the people you’re designing for. Choose one stakeholder in your business (end user, investor, distributor) that you need to empathize more with. What questions would you ask them? What situations would you want to observe them in? For Pulse, Kothari and Gupta spent hours interviewing random people at a nearby cafe and watching them browse the news on an iPad. Through that process, they were able to understand everything from how a luddite interacts with a touch interface to how a tech-savvy geek with 100+ sites on his RSS feed distributes his attention from one site to another. 2. Define: Are you focused and open to what your team needs in order to thrive? Define your personal point of view in pursuing your venture, and then think about what your end user, your team, and your business need. Even if your end goal is to reach all 6.7 billion inhabitants of the earth with your product or service, key in on a niche user to start and identify what works best for him. By observing and empathizing with the tech geek, for example, Kothari and Gupta were able to define his need: a better way to catch up with older news and other treasures that might get buried in linear feeds like Google Reader or NetNewsWire. 3. Ideate: It’s time to brainstorm. “This is the most fun part of the process,” Kothari says. “It’s the stage where you don’t block any ideas and embrace all your wildest ideas — there might be a small piece of it that could be integrated in the final product.” Many business start with ideation, but if you’ve followed the design process through to this stage, you’ll have a much deeper understanding of who you’re designing for and what their needs are. Invite some people who aren’t part of your business to come to a brainstorming session and tackle this with you. Draw pictures of the different possibilities. 4. Create a prototype: Can you physically build a prototype using Post-Its or popsicle sticks that can help you answer some questions? From 20-25 rough illustrations and Post-It diagrams, Kothari and Gupta created a series of slides that showed how users could interact with the news using Pulse. From there, they narrowed down three favorite prototypes and coded them.